The popular method to transfer the files between their Android Phone to the Computer is by using the USB Cable. Now a days, Most of the people prefer Wireless technology to transfer between two devices. In this review We are going to share about How to Transfer the files between your Android to computer using WiFi Via File Transfer Protocol(FTP). Most of the apps in the Google Play using the HTTP method to transfer your Files in two devices. But FTP is the Prefer method to transfer your files efficiently and fast. It’s because, FTP is specifically designed for only Transferring files in the network. WiFi File Transfer is the new but best free Android app developed by Androidder which allows you to transfer the files between your computer and Android Tablet / Smartphone. Compare to other apps, WiFi file transfer uses the FTP protocol to transfer your files between two devices which is the main difference of this app. This app runs in the background and works nicely. FTP Transfer is the Protocol designed for uploading and downloading files in blazing fast with a secure network. This app support FTP Support. So You can browse the files Android files in your computer (Windows, Mac, Linux or any) using FTP Client. If you don’t have FTP Client then you can directly access the files using ftp:// URL in the web browser. By using this app, you can transfer the files between your phone to computer and Computer to Phone, Supports two-way transfer. Just select the multiple files in the phone and send over the Wi-Fi connection to computer and Vice versa. This app has built-in file Manager. 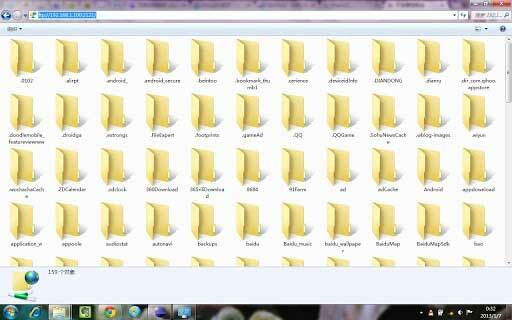 It allows you to Delete, rename, copy, zip or unzip files. Since this app supports FTP protocol, You can transfer the files between any computer using any operating system like Windows, Mac, Linux. This app hasn’t provide no password protection or encryption while transferring the file between your devices. Since this app runs in the background, it might slightly reduce Your battery life. To increase the battery life of your Android, read this article. Just copy and paste the FTP URL in the web browser or FTP Client to open your phone files and mange in computer. Unlike other apps, this app has very simple interface and minimal steps to transfer the files between your computer and Android. The only disadvantage of this app is it has no password protection while transferring your files between two devices. If you want only pure speed when you transfer the files, this app is best for you and install it right now.